These are the complete notes of 12th Standard Computer Science (Subject: D9). You can download the two .pdf files in zipped format and use them for the study of the subject. These notes are updated for the HSC Board Exam of March 2019 and onwards. You save Rs.1000/- when you purchase this set. Contains Paper-1.pdf and Paper-2.pdf files. 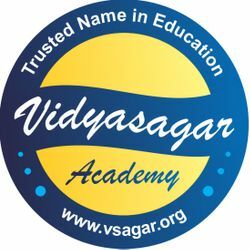 Searching for Syllabus of XII Computer Science (D9) Subject? Previous years HSC Board Question Papers in .pdf format are available now. Please note that this product is NOT refundable. Important: The notes supplied to you are ISBN copyrighted by Vidyasagar Academy, with the name of the author, under Digital Millennium Copyright Act. Do not make photo copies of the same. It’s a legitimate offense under DCMA Act – 1998 and Pub. L. 105-304.